Published by Mountainblog on 10/24/2018 . PrimaLoft, Inc a global leader in advanced material technology solutions, today introduced PrimaLoft® Bio, the first synthetic insulation made from 100% recycled, biodegradable* fibres. Developed over the last four years by PrimaLoft’s team of scientists and engineers, PrimaLoft achieved this textile breakthrough without affecting the performance characteristics of the insulation. In accelerated test conditions simulating a landfill environment (ASTM D5511), PrimaLoft® Bio fibres have reached near complete biodegradation in 394 days, a highly accelerated rate as compared to the negligible degradation observed in standard polyester, under the same conditions. This proprietary technology does not change the performance, look or feel of the garment and is expected to be available to consumers in fall 2020. 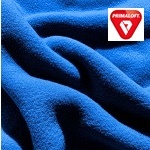 PrimaLoft® Bio fibres break down when exposed to landfill or ocean environment. PrimaLoft has enhanced the fibres to be more attractive to the naturally-occurring microbes found in anaerobicenvironments. The microbes eat away at the fibres at a faster rate, returning the insulation to nature. The biodegradation process leaves behind water, methane, carbon dioxide and biomass (expired microorganisms, organic waste). PrimaLoft® Bio insulation will only biodegrade when exposed to the microbes in landfills or ocean water, thus, the insulation remains highly durable throughout its usable life cycle in a garment. 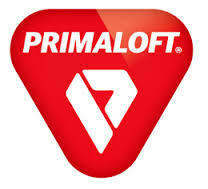 The idea was already born in 2014 from the PrimaLoft product management. After two years of research, it took two years to develop the process and more than a year of testing with an independent lab. “PrimaLoft® Bio has the potential to transform the outdoor and fashion/lifestyle industries’ supply chain,” said Dr. Charles Lancelot, a materials technologist who worked alongside PrimaLoft during the testing process. “Over 80% of discarded textile and garment wastes were landfilled in 2014 in the US, accounting for nearly 8% of the total waste. This advanced biodegradation technology from PrimaLoft leverages progressive end-of-life material science and demands the attention of every apparel brand interested in making a smaller environmental footprint. PrimaLoft® Bio expands upon PrimaLoft’s commitment to being Relentlessly Responsible, providing sustainable solutions throughout its business in order to lessen its impact on the earth. To date, PrimaLoft has saved more than 84.7 million plastic bottles from landfills and transformed them into premium insulation technologies. By 2020, 90% of PrimaLoft insulation products will have at least 50% post-consumer recycled (PCR) content, without compromising performance. Earlier this year, PrimaLoft introduced its first insulations with 100% post-consumer recycled material. Moving forward, PrimaLoft is working diligently and investing to reduce its footprint through the supply chain with an emphasis on finding solutions for reducing energy, carbon emission reduction, utilizing biodegradable products and incorporating natural plant-based fibres in its products.